Have you ever wanted to go to Easter Island? This extremely remote island in Polynesia is known for its giant stone heads that are dotted all around it. Who carved them? No one really knows… but maybe you will get to the bottom of this mystery when you play the Easter Island online slots game. This game is inspired by this mysterious land – who knows, there could be lots of treasure waiting for you! 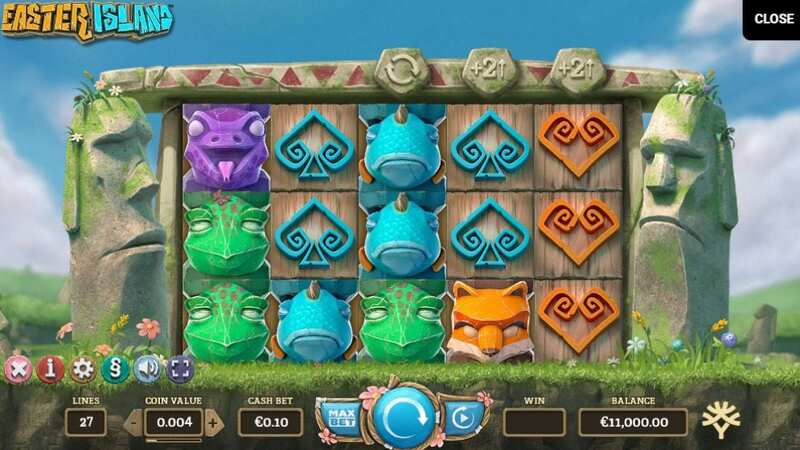 Easter Island has been created by Yggdrasil, a company whose name is rooted in mythology, so there really is no wonder that they use myths and legends to inspire all of their slot games. They were started in 2013 and the past five years have seen them really go places in the online gaming world! If you love Easter Island, then you will also really enjoy Gem Rocks and Pumpkin Smash. Learn about online slot games by Yggdrasil! Once you land on Easter Island, you won’t have a shadow of doubt in your mind that you are in Polynesia! You’ll be surrounded by an island paradise. There are a clear blue sky and gorgeous green pastures ahead of you. Right in front of you is the game board that features five reels and an astounding 103 pay lines. On either side of the board are two quirky characters – they are both two of the island’s heads and will welcome you warmly to the game. For a list of best new games, check them out here. The reels are wooden but surrounding them is an ornate stone border. You will notice that the wooden reels are rather decorative too with some very funky carvings. There are heart and spade shapes as well as the faces of a few different creatures, including foxes, turtles and lizards. The more symbols you can match along the pay lines, the more you will win. There are also a few extra bonus features that can help you continue your lucky streaks. Check this guide to help you with choosing the best slots games to play. It is worth a look. * EXPANDING WILD SYMBOLS – You’ll find that Wilds appear on the second and fourth reel. When they do land, they will expand and cover the entire reel. * SYMBOL SWAP RESPIN – Whenever you spin a win, you’ll get an extra go. 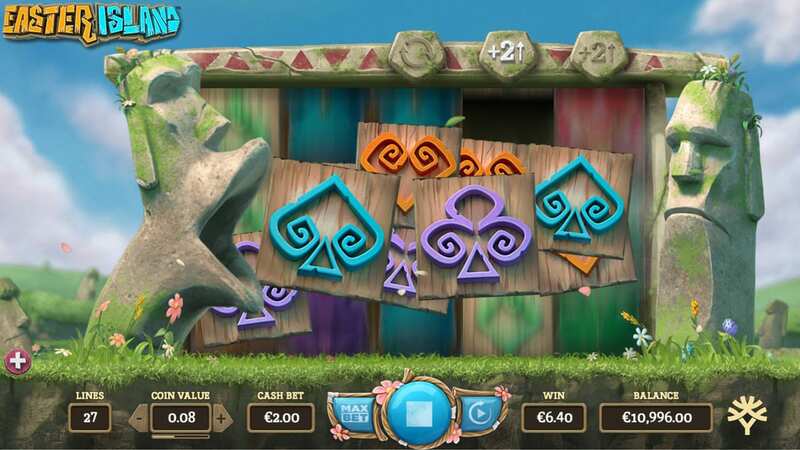 The symbols with which you win with in the base game will then replace some of the other symbols in the respin, improving your chances of winning even more. two extra symbols and create 103 pay lines. You’ll get one more go on this larger board!